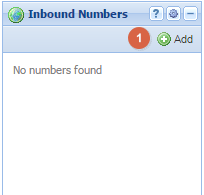 How are VoIP Numbers Assigned? In principle, VoIP technology is pretty simple to understand but deploying full-fledged VoIP service for an enterprise or even a household can be pretty daunting. This is partially because VoIP offers many choices so that businesses are able to tailor the technology to their own requirements. On the flipside, it can also lead to analysis paralysis – many companies just end up picking a solution at random (or something that sounds good) in order to avoid having to choose between multiple alternatives at every stage. However a proper understanding of the terminology and the technology itself can one long way in simplifying VoIP deployment. One aspect that confuses many people is the process of getting a VoIP number. Generally if you wanted an additional line or new number, the only option was to get one from the phone carrier. Enterprises often have expensive contracts with operators to ensure they always have sufficient availability. Compared to this, getting a VoIP number is at once inexpensive but also bewildering. There are many questions to be answered here – do you get a new number with the service, port over your old number or get the number and service from different vendors? With the traditional landline, separating the number from the service or line is not even possible. But VoIP opens up a whole new world for business communication. 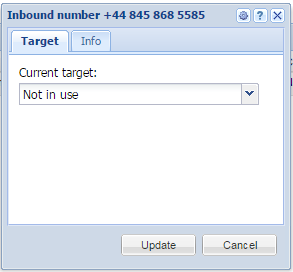 How to get a VoIP number assigned? One of the easiest ways to get a VoIP number is to purchase VoIP service from a vendor. But that is not always the case. Some providers will assign phone numbers for free even if you do not purchase minutes or service from them. Services like Google Voice and Callcentric offer VoIP phone numbers with US area codes, for free. Usually incoming calls are not charged at all while outgoing calls will be billed a nominal fee per minute. Particularly with Google Voice, outgoing calls to a few countries (within the US and Canada) are also free. iNum is another service that provides phone numbers with the area code +883. This is the international code for VoIP numbers that is location independent i.e. it is not associated with any geographic area. It essentially works as a virtual number and the user does not have to worry about area codes, international rates etc. and can answer calls from their personal device. While solutions like Google Voice works well for individuals or even households, it is not a practical solution for businesses. Even a small business with more than a handful of employees will find it difficult to work with just one VoIP number. The most common way for a business to get VoIP numbers is to get them along with VoIP service from a third-party provider like VoIPstudio. Typically such providers may assign one or two numbers for free while others will have to be purchased. The caveat with free numbers is that the area code cannot be changed, so if the business wants a number with a particular code it has to be purchased. To illustrate the process of assigning VoIP numbers, we will take the example of VoIPstudio and walk through the process of getting one. VoIP studio offers a free trial and free VoIP numbers with UK area codes so prospective clients can evaluate the service properly with before purchasing anything. First off, create an account with the service using your email account and a password. On the first screen, you can see that the account does not have any phone numbers associated with it. 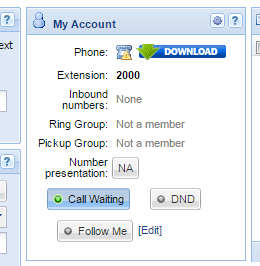 Clicking on the ‘Administration’ button at the top right will pull up a screen where you can get the VoIP number. You can select ‘Add’ which opens up a panel with two tabs – free number and purchase. 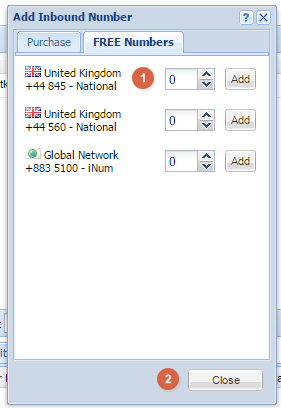 As you can see, the free numbers come with the UK area code or the iNum code created by the ITU. Selecting purchase will give you options for buying a VoIP number with area codes in any of 4000 cities worldwide. For a business, this means being able to give local numbers to customers so they do not have to pay international rates to contact them. After purchasing or getting a free one assigned, it is time to bind the number to a particular user. Since VoIP users are not restricted to a particular device when making or receiving calls, the number is not associated with the location, line, building or even device. This makes it easy for the business to move individual employees or the entire office to a new location without hassles. 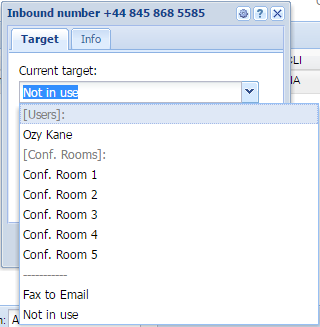 Clicking edit next to the assigned number opens up a panel where you can select either an individual user or conference rooms for that number. Once you understand the actual process, you can see that assigning VoIP numbers is simple, and it comes with a lot of choices not possible with traditional landlines.